Most of the attention ahead of this week’s South African Women’s Masters has been on Investec Property Fund Order of Merit leader Stacy Bregman, but watch out for young professionals Lejan Lewthwaite and Lora Assad when the fifth Sunshine Ladies Tour event tees off at San Lameer Country Club on the KwaZulu-Natal south coast this Thursday. 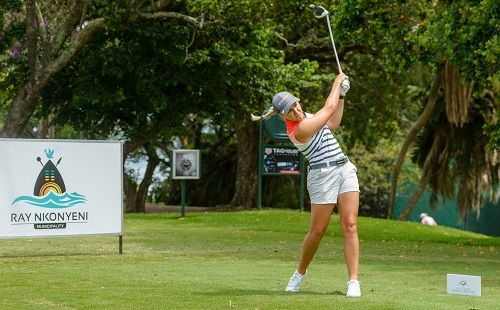 The South African Women’s Open was staged at San Lameer for four successive years from 2014 and Lewthwaite – fresh out of college in the United States – won the Jackie Mercer Trophy as the leading amateur in the 2016. The Benoni golfer chased Lee-Anne Pace for three days and finished second overall. Last year she produced an impressive tie for sixth in her rookie season as Pace took top honours for a third successive time. With an impressive R350 000 purse and 450 points on the line, the 27-year-old Lewthwaite is relishing the opportunity to continue her improvement. “I’m definitely coming back with positive feelings,” said Lewthwaite. “You’re always going to have good memories on a course that you’ve finished strongly on. The course is in great condition and the greens are running smooth and true. 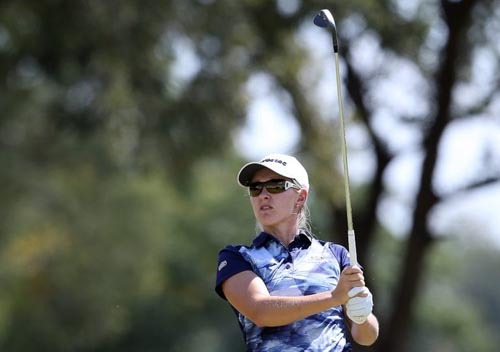 Texas State University graduate Assad, meanwhile, is coming off a sixth-place finish at the Ladies Dimension Data Ladies Pro-Am in George last week. The 25-year-old played a full campaign on the Symetra Tour in the United States last year and had a difficult time of it – making just one cut in 12 starts. Assad returned to South Africa at the end of the season to recharge. 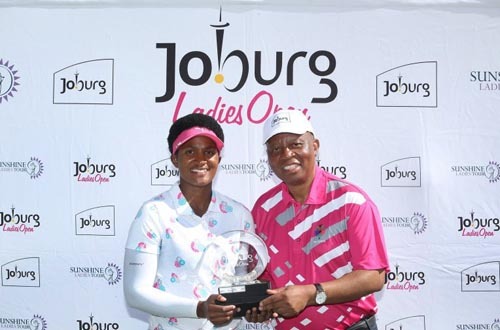 “I thought I was well-prepared after playing the US Collegiate golf circuit for four years, but I had no idea it would be so tough to transition to the Symetra Tour,” said the Randpark golfer. “There is so much to adjust to, but it was a fantastic learning curve and I look forward to going back in March. It will be Assad’s first tournament at San Lameer, but her positive attitude and solid game could well see her in contention in the final round. Coming to the slower surfaces common to the KwaZulu-Natal south coast after the slick greens at Fancourt took some adjusting, though, but Assad was feeling comfortable after her first look at the course during the Mayor’s Challenge Pro-Am on Wednesday. Seventeen nations are represented in the field of 78 players lining up at San Lameer, with the international and amateur campaigners vastly outnumbering the local professionals for the second time this season. “It really shows just how popular the Sunshine Ladies Tour has become,” said Lewthwaite. South Africa’s top ranked junior Woo-Ju Son, who won the Jackie Mercer Trophy last year with a top 12 overall finish, leads the local challenge that includes fellow GolfRSA Elite Squad golfer Zethu Myeki. Scotland is also well presented by Scottish Golf Women’s National Squad players Gemmy Batty, Chloe Goadby, two-time Golf Order of Merit winner Hannah McCook and Shannon McWilliams, who beat the local opposition for the Border Championship title at East London Golf Club this past weekend.